the use of expansion joints for waste heat recovery units. 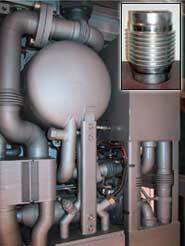 • Expansion joints within the compressor engine manifold assembly. • Expansion joints connecting the exhaust piping to the silencer. 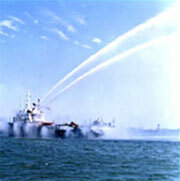 • From oily water separators to fire-fighting equipment, replacing rubber expansion joints per USCG (United States Coast Guard) and ABS (American Bureau of Shipping) directives.